Many Jews are unaffiliated and intimidated by organized Judaism, while others may be part of a Jewish community but still feel a lack of purpose and belonging. Yet ultimately, we each yearn for Jewish connection and meaning. To meet this spiritual and cultural need, the Breslov Research Institute (BRI) focuses its efforts on invigorating the Jewish soul through publishing and producing in all contemporary formats the timeless wisdom of Hasidic master, storyteller, and Kabbalist Rebbe Nachman of Breslov (1772-1810). While the initial form of its work was achieved through translating and publishing Rebbe Nachman’s and most of his close disciple Reb Noson’s writings–a library comprised of more than 100 titles–the BRI mission has been to acquaint and expose people to the power of Breslov teachings through all forms of information exchangeâ–publication, video, web-based lectures, animation, conferences, and visits to Rebbe Nachman and Reb Noson’s Eastern European home villages. 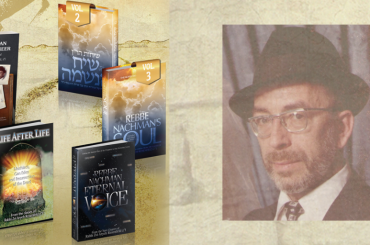 Rebbe Nachman’s philosophy is a natural bridge between ancient Jewish wisdom and modern self-development. His teachings offer tools for practical and achievable growth in character-building, self-esteem, caring for our fellow man, and injecting faith, joy, and simplicity in our daily lives. These insights and sayings also appeal to non-Jews who wish to tap into the deeper spirit inherent in Jewish thought, faith, and practice. Shortly before his passing in 1810, Rebbe Nachman told his followers that his influence would long endure. Indeed, centuries later, we find a new generation of seekers inspired by his teachings like never before. BRI has the privilege to provide those seekers with authentic works of the wisdom of Rebbe Nachman in a language they can easily understand. The founding of the Breslov Research Institute was an outgrowth of the outreach work of Rabbi Zvi Aryeh Rosenfeld, who brought the teachings of Rebbe Nachman of Breslov to American shores beginning in the late 1940s. 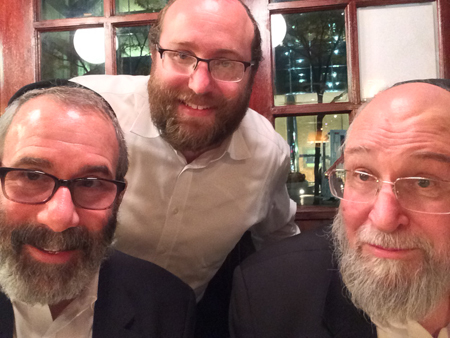 Born in Eastern Europe at a time of great global tumult and raised in the United States in the face of rising assimilation, Rabbi Rosenfeld saw in Rebbe Nachman’s teachings an answer to disenfranchised Jewish youth in America. He introduced the timeless teachings of this great 19th-century spiritual influencer to American youth through lectures that he gave in the New York area, which he later disseminated through tapes to the masses. Seeing the thirst of his students for these authentic and inspiring teachings, he encouraged one student, Rabbi Aryeh Kaplan, to produce an English translation of a key Breslov text, Shevachey V’Sichot HaRan (Rabbi Nachman’s Wisdom) in 1973, which Rabbi Rosenfeld edited. In 1979, one year after Rabbi Rosenfeld’s death, his son-in-law Rabbi Chaim Kramer established the Breslov Research Institute to continue the effort to publish the teachings of Rebbe Nachman in English.